Two thousand years ago, multiple flows of materials, cultures, and ideas interlinked the living centres between Asia and Europe. This century sees the rise of another constellation urbanism around the same region, focusing on the confluence of infrastructure, material, and capital. "New Silk Roads" is a project on the spatial, social, environmental, and political realities on the ground of the Belt Road Initiative (BRI), China's new transnational infrastructure initiative across Asia, Europe, and Africa. The project aims to unpack the initiative by focusing on the cities where the infrastructure hubs are (being) built. Following an extensive editorial introduction presenting the larger BRI initiative, a series of essays will be commissioned to local researchers for investigating the initiative's impact on the ground. 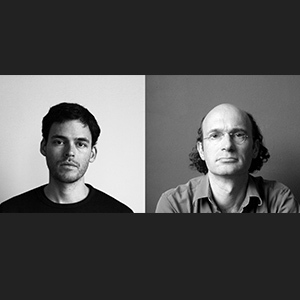 The editorial, and the articles will be published in e-flux Architecture. e-flux Architecture is a publishing platform, archive, and editorial project founded in 2016. The news, events, exhibitions, programs, journals, books, and architecture projects produced and/or disseminated by e-flux Architecture describe strains of critical discourse surrounding contemporary architecture, culture, and theory internationally. Recent and ongoing projects include: Overgrowth, a collaboration with the 2019 Oslo Architecture Triennale; History/Theory, a collaboration with the Institute for the History and Theory of Architecture (gta), ETH Zürich; Accumulation, a project with Daniel A. Barber; Dimensions of Citizenship, a collaboration with the United States Pavilion at the 2018 Venice Architecture Biennale; Urban Village, a collaboration with the 7th Bi-City Biennale of Urbanism\Architecture (UABB); and Superhumanity, a collaboration with the 3rd Istanbul Design Biennial.